Near the slopes of Mount Etna are acres of blood orange trees, part of an ancient farming tradition in Sicily, and where a combination of soil types and microclimates lead to some of the best blood oranges on earth. The fruit itself has a prized balance of sweetness and acidity, and the peels are known for having red speckles or a slight blush when ripe. 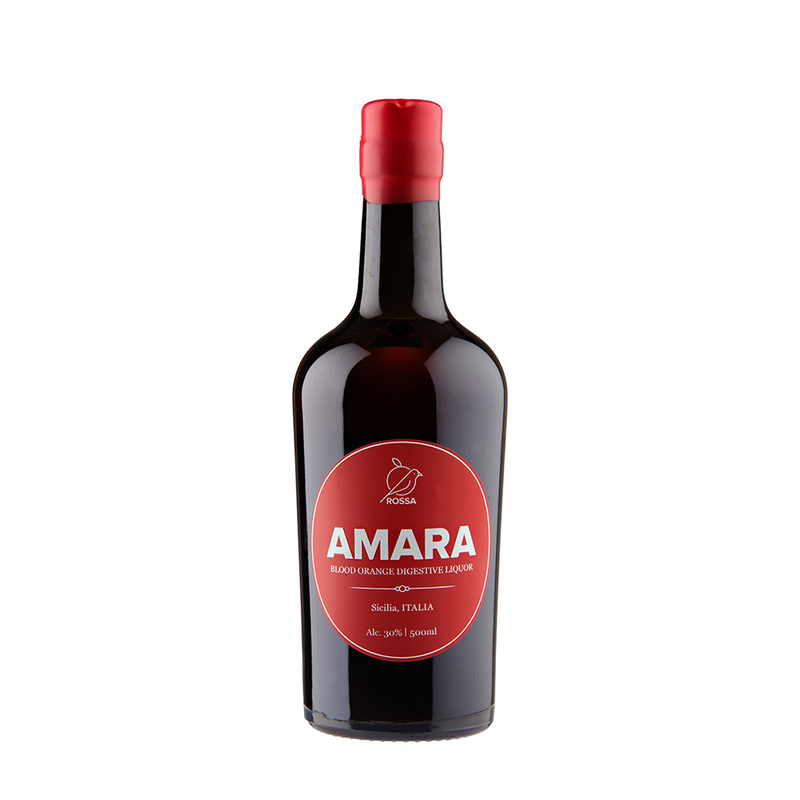 For Amara, two different varieties of blood oranges, Gallo Tarot and Tarot Nocellara are infused with special bitter herbs and sugar in a recipe that is fiercely guarded by founders Giuseppe Librizzi and Edoardo Strano. The resulting liqueur is a taste revelation of sweet citrus and mildly bitter herbs. It is the perfect digestive to have over ice, no garnish necessary. It can also be used in place of triple sec in cocktails.